These sources spoke confidentially to Windows Central, who reports that the new system – informally called Xbox Maverick and formally to be rebranded as the Xbox One S All-Digital Edition – will be available globally in all regions in May 2019. That would mean the console would be available ahead of E3 2019 and Microsoft’s keynote, which many speculate the company could use to announce the next generation of Xbox consoles. If all the details are accurate, the All-Digital Xbox One S is a crucial system for Microsoft. It will test the waters for the next-generation of consoles and could prep the company for an all-digital future. If a single report isn’t convincing on its own, it’s worth mentioning that this follows months of reports about a disc-less next-gen console from Microsoft called Project Scarlett and would come just weeks after Microsoft’s Project XCloud talk that’s slated to happen at this year’s Game Developers Conference (GDC 2019). Beyond an interesting design philosophy, the All-Digital Xbox One S could be an incubator for Microsoft’s XCloud game streaming service and double as a way to grow the number of Xbox Game Pass subscribers. That said, if users don’t adopt the new console or take umbrage with its eschewing of physical media it could be a potentially bad omen for the next generation of consoles. 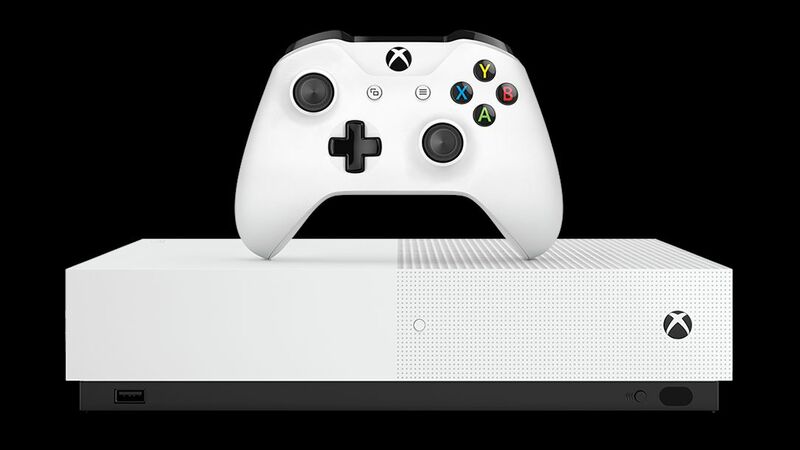 Editor’s Note: The above image is a photoshop rendering of what the All-Digital Xbox One S could look like, and is not a representation of the final product. The Xbox consoles have progressed so far. It feels like the May release is just around the corner too. I never thought that this would occur within this console generation. Digital or physical people will likely still play video games in the future. Furthermore, I wonder what the Xcloud project is like?